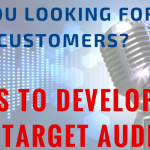 In the last post, I started down the road of what makes a well-rounded sales pro. First and foremost, I think Super Sellers are self-starters who continue to invest in their own success with a continuous love for learning. Buying has evolved at warp speed over the last decade so sellers need to continue to reflect those changes and work hard to be relevant and valuable. In part one of this mini-series, we offered up some ideas to level up your influence and persuasion powers. But charisma and confidence alone don’t win the day as a seller. For Sales Pros, Business Owners, and anyone who competes for time, attention, and resources, another facet is extremely important to success: Grit. 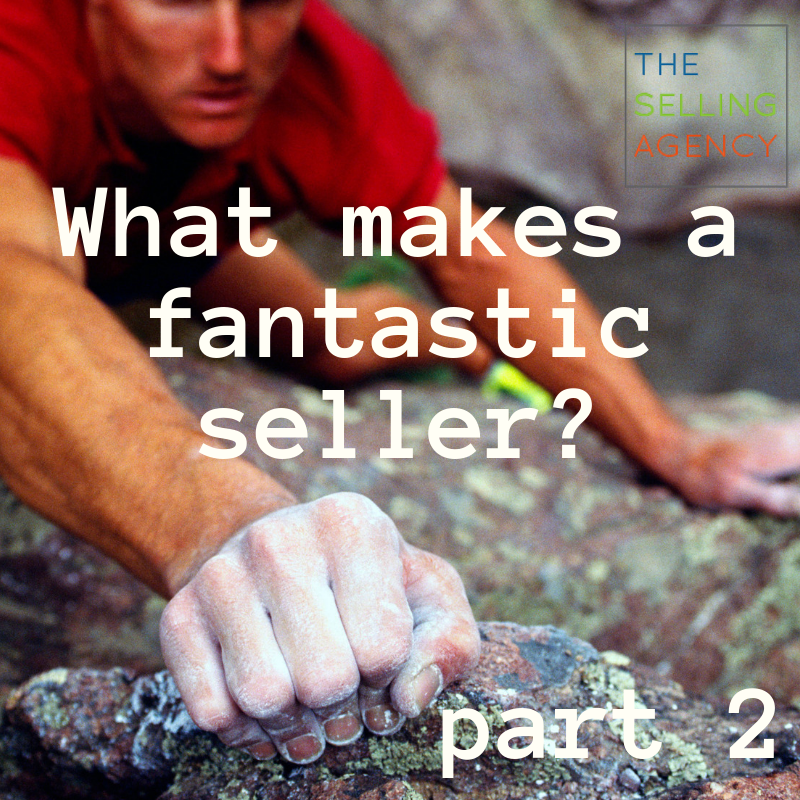 Phenomenal sellers are … Gritty. You don’t have to use manipulation or some high pressure technique to outsell your competitors. It really boils down to out-persisting them, putting in more effort. Connecting again – from another angle, with more value. 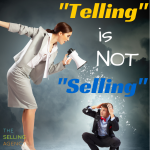 Stellar Sellers persist with Integrity. They keep showing up with value. 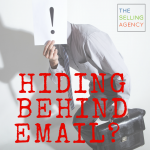 Because in this day, where there is so much noise and so many different methods of communication, buyers are overwhelmed and pressed for time. Our job as sellers is to continually demonstrate that we will spend their time in a way that’s respectful, valuable, and helpful. When buyers don’t respond to your first emails, second calls, third emails, or ghost you after a meeting or proposal … truth is, most sellers give up after those first few attempts. Citing “no interest” from the buyer. More often than not, buyers are too busy to respond or your messages don’t hold enough interest to prompt them to respond. It’s still true and that most salespeople give up after two attempts but what we know is that success now comes after or between the 8th and 13th touches – sometimes more. Who’s willing to go that distance? Someone who has Grit. How do we get Grittier? Unlearn our limitations. This first resource will blow your mind. Chock full of cursing (just a heads up), trauma, and unbelievable human feats, Can’t Hurt Me by retired Navy Seal and Ultra athlete, David Goggins had my jaw dropping in nearly every chapter. I cannot spoil it for your with many details but David came through a broken childhood and gritted his way through dozens upon dozens of physical and feats by learning to master his mindset and overcome what seem like limitations. The book has gnarly photos of David’s injuries but I highly recommend the audiobook as between chapters or after key incidents, Goggins and his ghostwriter break down and discuss the events. Goggin’s gritty, raw, Navy Seal throat underscores his trials and damned impressive feats. Throughout the book, he continues to unlock the impossible and shred limitations – inspiring and motivating readers to go on the journey with him. Study Grit. If you haven’t heard of it, is the book, Grit, by neuroscience and psychologist, Angela Duckworth is a phenomenal study of passion and perseverance. It’s thick with clinical studies but Duckworth breaks down the examples with stories and lessons that really resonate with how we naturally tap into our perseverance reserves or for many of us, can work to increase our grit factors. Need the inspiration to tap into your grittier best self, grab this book (I also recommend the audio version as it’s pretty lengthy). Challenge Yourself. The second suggestion isn’t a book or a video. It’s a challenge. Is there something you’ve never been good at? Something you’ve wanted to try? Something that you’re not physically built for? Sign yourself up for something that’s difficult. On PURPOSE! Golf game stink? Don’t know how to play chess? Think you’d never be able to make it up a rock wall? Perfect. Sign up and do it. Struggle. Flail. Fumble. And keep going. Challenge yourself to reach a new level of mastery or functionality. Achievement over struggle is a profound building block to confidence and perseverance. Surround yourself with Gritty people. Motivational guru Jim Rohn has famously said, “You are the average of the 5 people you spend the most time with.” Take a look around at your circle of people. Who do you choose to spend time with most often? At work, who are you drawn to? Who is inescapable? Are they people who inspire and motivate you? Do they light you up when you see their results and capabilities? If not, you need to consider new friends. Or new coworkers. Or a new boss. Ok. That might not exactly be possible – or feasible – at least, right away. But what IS possible is choosing to widen your circle and including grittier people or people who are trying to persevere and overcome their own challenges. Join a goal-oriented workout group or maybe a running group. Sign up for Toastmasters and be part of a community working to master a tough skill. Volunteer at a Children’s Hospital or work with Veterans. Challenge your own comfort state by spending time with people that lift you up with their resilience and fire! BONUS: One of the keys to achieving life long success is unlocking your Growth Mindset. Another great book to tap into your own agile mind is by reading Mindset: The New Psychology of Success, by psychologist Carol Dweck. Dweck is widely regarded as one of the world’s leading researchers in the fields of personality, social psychology, and developmental psychology. Outgrowing our “fixed mindset” is one of the most powerful ways we contribute to success – no matter what you endeavor to do. I see most sellers focused on short term gains. The “transactional” mindset – that creates a lot of frantic activity and bursts of action – that translates into a lot of “giving up” if you have conditioned yourself to seek immediate rewards. This is a challenge for you to play the long game with yourself – your sales goals, your career, or your business. Grit is a life long skill to prepare you for adversity in all aspects of life. Live it. Love it. Teach it.